Gastro-intestinal and liver diseases have turned very frequent. People face issues like indigestion, acidity, gas, diarrhoea and jaundice. However, if not taken care of, these can give result to serious problems like bleeding from intestine and stomach, swelling of pancreas and health troubles due to liver failure. Radiance hospital is well-resourced to diagnose and treat such diseases. Radiance Hospitals is sturdily equipped with sophisticated facilities to fight oesophagus related diseases which includes pain in swallowing, blood in vomiting, infections in diabetes, Achalasia cardia, Cancer or tumour in oesophagus, Stricture/peptic and persistent liver diseases. For stomach related diseases, we can fight diseases which include peptic ulcers, blood in vomiting due to ulcer ailment, stomach cancer and infections. Modernized facilities for gallbladder, bile-duct related health issues and biliary tract cancer. We have different medical team to treat multifaceted pancreatic diseases. 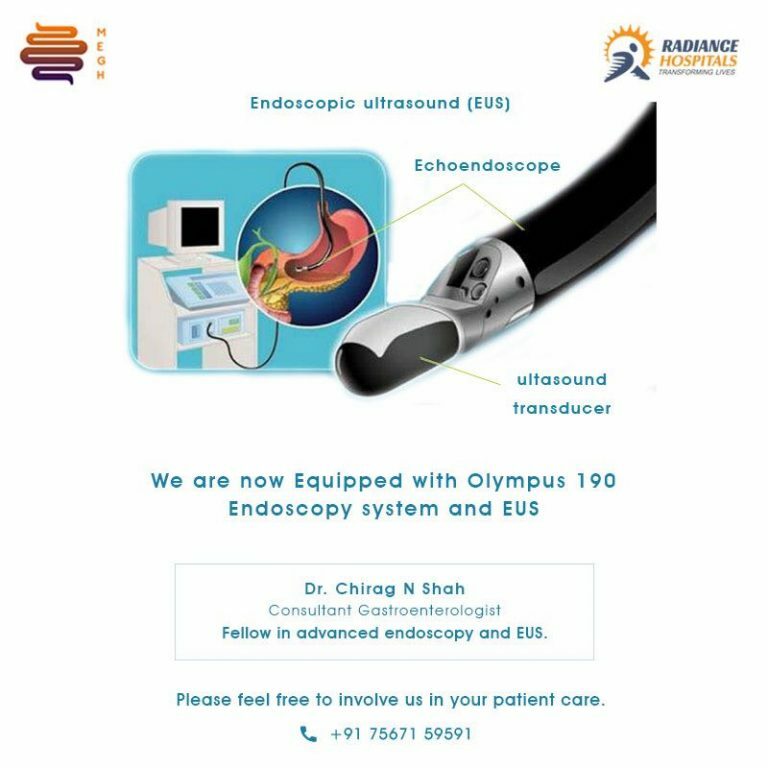 Radiance Hospital is capable to cure complicated diseases and have best facilities for treatment of diseases like two endoscopy theatres with Gastroscope, Colonoscope, ERCP scope, Capsule endoscopy and Manometry.